Grub Fest 2018 is announced- Are you Ready!! 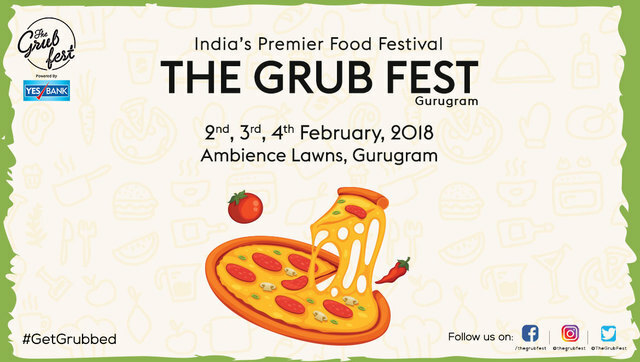 After consecutive triumphant editions across the country, The Grub Fest is back once again in Gurugram, Ambience Lawns on 2nd, 3rd & 4th of February. With an exceptional amalgamation of restaurants, prominent chefs along with some of the best entertainment artists of the country, The Grub Fest is constantly aspiring to curate a distinctive food festival experience for all the food enthusiasts out there. With an aim to present the best that the city has to offer, we welcome you to thischapter of the Grub! Get your early bird tickets now!